Fantasy! Adventure! Rabbits with Swords! Calling all metro-Atlanta area homeschoolers! You are invited to a special event! S.D. 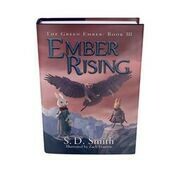 Smith, author of the Green Ember series, will be joining us for an exclusive talk on Wednesday, October 3rd. 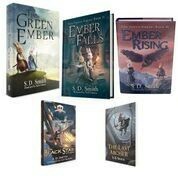 His books are often hailed as "New Stories with an Old Soul" and his middle-grade adventure books chronicling the lives of siblings Heather and Picket will have your family laughing, crying, playing a new game of star-seek, and shouting with gusto, "Til the Green Ember rises or the end of the world!" Come meet the man, the myth, the legend, the author himself, S.D. Smith. Our event begins at 1:00pm in the Sanctuary, but you are welcome to come early to get a seat right up front! 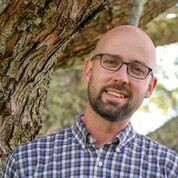 There will be an Author Talk, Q&A, and book signing! We should wrap up by 2:30pm. There will be books and merchandise for sale, so if you need to grab another book in the series or a t-shirt or a trusty wooden sword, this will be the place! 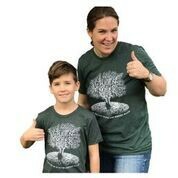 We look forward to seeing you and all of your homeschooling friends! Please share this flyer with them and let them know!